This Friday, June 16th, sees the much antipcated return of Kerry Film Festival's Summer Open Air Cinema with the screening of the brilliant Sing Street as part of the Féile na mBláth festival at the Tralee Town Park in what promises to be another outstanding KFF event. Tickets for this screening are unfortunately sold out due to the event's overwhelming popularity but those lucky few with tickets booked can look forward to a great night of entertainment. "On a summer evening, there’s nothing quite like watching a movie under the stars. Now in its third year, Kerry Film Festival is delighted to announce our ‘Summer Open Air Cinema’ programme for 2017. 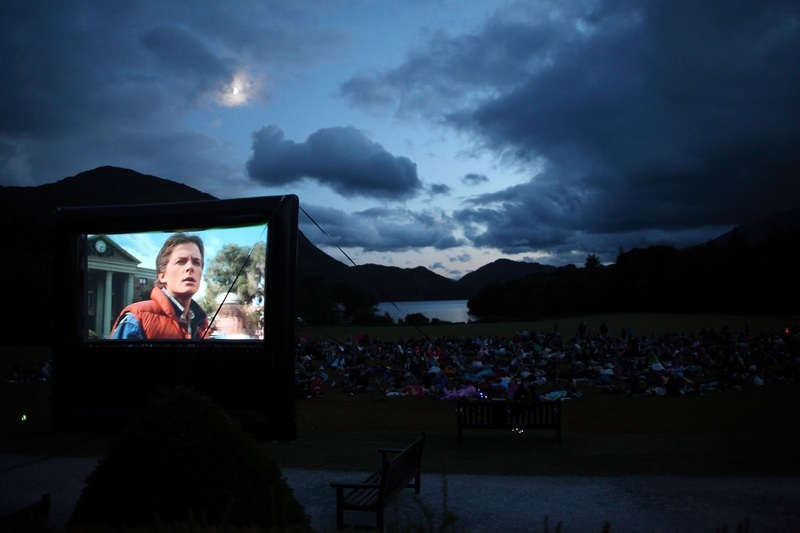 Around the Kerry county, we will be bringing our Open Air Cinema to parks and scenic locations for everyone to enjoy. These FREE events are in partnership with Kerry County Council - Community Support Fund and the festival is very grateful for their continued support. Then, Summer Open Air Cinema will partner with July 4th Festival in Killarney to present a screening as part of the festival celebrations. Other screenings will be announced over the coming months. Our ‘Summer Open Air Cinema’ screenings are suitable for kids (8+ yrs old) too but must be accompanied by an adult. Children must not be unsupervised. The onus is on parents to decide if a screening is suitable for their child. The festival reserves the right to refuse admission. Please pay attention to the stewards instructions. These Open Air screenings can only operate once it is dark and once the weather is fine. We thank you for understanding this. Kindly supported by Kerry County Council and the Community Support Fund.